Alexei Belenky is wanted by Interpol in order to face charges for misuse of public procurement in the amount of millions of euros from tenders of the Ukrainian railways. He is sought by the Ukrainian Anticorruption Prosecutor’s Office, which is investigating the case because of involvement of politically exposed persons. However, the Bulgarian police have failed to establish his whereabouts and have stopped the search. Bivol discovered Belenky’s Black Sea coast residence, where no one had looked for him. Our investigation further established that Alexei Belenky has Bulgarian citizenship and has been naturalized under suspicious circumstances. Олексiй Бiленкий, as his name is spelled in his Ukrainian passport, first arrived in Bulgaria in June 2004. He is a graduate of the Academy of the Ukrainian Ministry of Interior and claims to be an economist and university lecturer. He is a former Deputy Director and General Director of Lukoil International Ukraine. In Bulgaria, he was appointed manager of Litasko Bulgaria – the parent company of the Bulgarian branch of Lukoil. Belenky was also member of the Managing Board of Lukoil Neftochim Bourgas. A year later, he applied for Bulgarian citizenship and was granted such through the speedy procedure in just nine months. His citizenship request was personally endorsed by Miroslav Sevlievski – Minister of Energy and Energy Resources at the time, who “rose to real fame” over a leaked photo showing him on a yacht in Monaco in the company of notorious Bulgarian mobsters. On the yacht in Monaco, from left to right: Petar Petrov AKA Amigossa convicted of laundering USD 28 million, Milen Velchev, former Finance Minister in the cabinet of the National Movement for Stability and Prosperity, NMSP, of Prime Minister and former King, Simeon Saxe-Coburg (Velchev is now a representative for Bulgaria of the Russian bank VTB, known as the “Bank of the KGB”), Miroslav Sevlievski, former Energy Minister in the Saxe-Coburg government, Lyubomir Minchev and Maria Oprenova (in the blue oval), owners of Channel 3 TV. In the back – murdered smuggler Ivan Todorov AKA The Doctor and former Transport Minister Plamen Petrov, former boss in the Bulgarian telecom Vivacom.According to Sevlievski, the Ukrainian should be granted Bulgarian citizenship on the grounds of his “background, professional and life experience as an entrepreneur and head of one of the world’s leading companies, with motives to strengthen bilateral relations… to benefit from his potential to direct the company’s investments, as well as other investments, towards Bulgaria.”Belenky also had Bulgarian roots from his maternal side and had been one of the main sponsors and donors of the Bulgarian community in Ukraine, the Minister argued then. Recommendations were given by the President of the Association of Bulgarians in Ukraine and by Kostadin Karamitrev, Chairman of the Union of Thracian Associations in Bulgaria. It is not known how the investigation by DANS has ended and if there was one, but it is a fact that the former alumnus of the Academy of the Ministry of the Interior of Ukraine is a Bulgarian citizen to date. The 10-year period to annul the naturalization has expired and if Belenky does not engage in terrorist activity, he will remain Bulgarian for life. Belenky’s potential to direct investments towards Bulgaria was quickly exhausted. Belenky became a Bulgarian citizen with Decree 42 from April 28, 2006 and shortly after, on October 27, 2006, he had been removed from the top Lukoil management. According to Bivol sources, Belenky’s short career in Bulgaria is due to a conflict with Valentin Zlatev’s, the almighty Bulgarian Lukoil boss. The Bulgarian company registers have no entries of any business activity by Belenky after leaving Litasko and Lukoil. On the other hand, he owns numerous companies in his native Ukraine, with which he participates in public procurement. In the summer of 2013, Belenky began investing in property in Bulgaria. As a start, he bought one floor of a vacation home on the coast of “Rayski Zaliv” (Paradise Bay) near the Bulgarian Black Sea town of Sozopol for BGN 69,000. He has another interesting acquisition as well – two plots on the pristine shore of “Dospat” Dam in the Rhodope Mountains for a total of BGN 102,000. The following year, Belenky added another land plot to his Dospat properties. He paid BGN 150,000 for it, but the place is worth it as its location has great investment potential, such as building a hotel for example. There are pre-trial proceedings against Alexei Belenky, carried out by the National Anticorruption Bureau of Ukraine (NABU). This is revealed in documents for international legal assistance sent through Interpol, which Bivol has seen. There are suspicions that he has committed large-scale economic crimes – appropriation of assets of the State-owned enterprise Ukrzalysznichpostach, money laundering, tax evasion, document forgery and other crimes. Through two of his numerous companies in Ukraine, Belenky had participated in a pre-arranged tender for the supply of bolts for the railways. According to the NABU, there had been an illicit agreement with the management of Ukrzalysznichpostach to approve the offer of the company Inkomm, which is controlled by Belenky. The 2015 contract was for EUR 1.89 million paid to an Inkomm account, but the company had bought and supplied bolts for only EUR 1.2 million. The difference of EUR 689,000 is to the detriment of the State-owned enterprise, the anti-corruption prosecution of Ukraine says. In order to launder the money, Belenky and his subordinate D.V.Ts. had made a large number of fake deals with shell companies, robbing the Ukrainian budget of EUR 306,000. Perhaps the most harmless crime for which Belenky is facing charges, according to the Ukrainian investigators, is the false declaration that Inkomm and his other firm, with which he participated in the tender, were not related. In 2016, Belenky attempted to repeat the scheme through another company called Hanuman. It offered to supply fasteners against EUR 4.6 million, compared to the market price of EUR 2.9 million. The tender committee accepted the inflated bid. Only the termination of the tender procedure prevented Belenky from illegally enriching himself with another million and a half euros, according to the Ukrainian Prosecutor’s Office. However, Alexei Belenky managed to leave Ukraine in time to hide from justice, and in 2017 he became wanted by Interpol. The headquarters of the organization in Lyon later reported that he has Bulgarian citizenship. At the beginning of July 2017, the NABU sent a court order to the Bulgarian authorities. The documents, translated into Bulgarian, which Bivol has examined, describe in detail the crimes for which Belenky is wanted. The request for assistance from the Bulgarian authorities is not for extradition, which is not possible under the law, but for establishing his location and serving a subpoena. However, the Bulgarian police did not cooperate with their Ukrainian counterparts. They have decided that there was no need to look for the former Lukoil boss where he can be found. 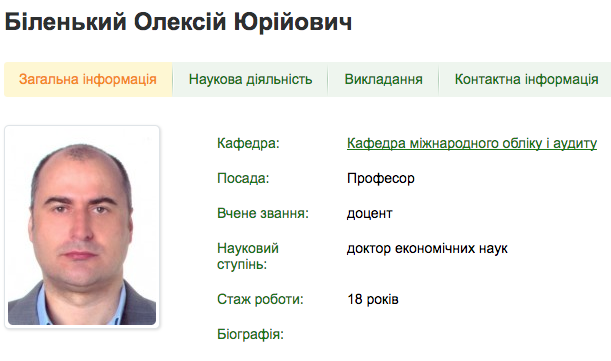 For the whole summer, the Bulgarian investigators only searched the address listed on Belenky’s ID card. A Bivol reporter had no difficulty finding and visiting Belenky’s residence near Sozopol, but he was not there. Our attempts to contact him via the official e-mail of his Ukrainian company Lyuksven remain unsuccessful. Is there a cover-up for Belenky? Belenky’s villa on the coast of Paradise Bay near Sozopol is easily found in the Property RegisterBelenky can be charged in Ukraine in absentia, after all. Public officials are also involved in the misuse of public procurement and they are already facing court trials for it. The proceedings, launched by the NABU, are closely monitored by Ukrainian media as a kind of litmus test for the work and determination of the new anti-corruption body, for which there are high expectations in Ukraine. Bulgaria’s refusal to cooperate is also a litmus test for the corrupted and dependent Bulgarian institutions that allow fake investors with serious protections to receive Bulgarian citizenship “on merit”. After that, the Bulgarian State defends its “newly-hatched” citizens from the likely foreign justice. The inactivity of the Bulgarian Prosecutor’s Office, recipient of the request for legal assistance from Ukraine, also points to a cover-up for Belenky. The prosecutors have apparently forgotten Article 4 of the Penal Code, according to which the Code applies to Bulgarian citizens and their crimes committed abroad. The request for international legal assistance from Ukraine includes enough evidence to serve as grounds to launch pre-trial proceedings against Belenky in Bulgaria, but only if the prosecutor’s office remembers that this is its duty under the Constitution. Another, less embarrassing development for Belenky would be, if the Ukrainian prosecution succeeds in proving his guilt, to look into ways to bring back the stolen money. Some of it, as revealed above, is invested in property in Bulgaria. Then, the Bulgarian Prosecutor’s Office and Prosecutor General Sotir Tzatsarov will be forced to act. Meanwhile, the graduate of the Soviet Ministry of Interior may have to seek a third homeland.